Cloud-based media software developer Plex on Monday released a standalone desktop music player called Plexamp, the first project to come out of the firm's newly announced Plex Labs incubator. 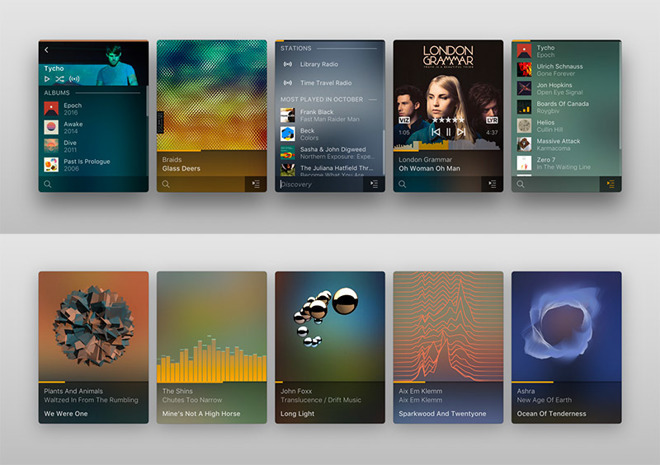 Available for macOS and Windows, Plexamp was built by a handful of Plex employees as an homage to music players of the past that also serves as a testbed for new services. Plexamp is the first project to emerge from Plex Labs, an initiative designed to garner exposure for internal passion projects and those from the community. Leveraging Plex's server smarts, the app builds on Electron, ES7, React and MobX technologies to deliver music, which is processed using the open source Music Player Daemon (MPD). MPD support means users can play "just about any music format you could dream of throwing at it," Plex says. Developers set self-imposed constraints to make the app as small as possible, limiting the final product to a single window. According to the firm, Plexamp is the smallest Plex player ever made, in terms of pixel size. Designed for those who use Plex for music playback, Plexamp runs like a native app on either macOS or Windows, in both online and offline modes, complete with controls for skipping tracks, pausing playback and receiving notifications. The app also supports advanced features like gapless playback, ramped song transitions, global hotkeys and keybindings, and — in a throwback — visualizations. Plexamp's creators have an eye for detail, as the app extracts key colors from album art to generate color palettes for said visualizers and to compute opacity values for UI overlays. As a technology testbed, Plexamp includes a few Plex Media Server features set to debut Plex Pass premium customers in a future update. For example, the music player extracts loudness data to automatically normalize playback volume, enable smart transitions that compute optimal overlap between songs, generate visual representations of songs called sound prints, and provide waveform seeking. Users can also take advantage of a server radio functionality to create radio stations from their music library. Plexamp users will be able to try out the features for free for three months before they see integration into the Plex Pass premium music package. Plexamp for macOS is a free download from the Plex Labs website.